I own 2005 Shinka. Nothing is more embarrassing than going on a date with a chick in ur 8 and fighting to beat a Honda civic. The car looks great handles ok and nothing else. Disappointed. Best fckin car in the world! This car does not weigh 1400+ kg. Docta a one point eight tee nevAr lose? The RX8Club.com site has dynoed dozens of RX8\'s, the fact is, stock, they only make between 170-190 HP... and about 120lb/ft of torque. It\'s a wonderful car that handles magically well, but it\'s NOT all that fast... sort of like a slightly bigger Toyota MR2. 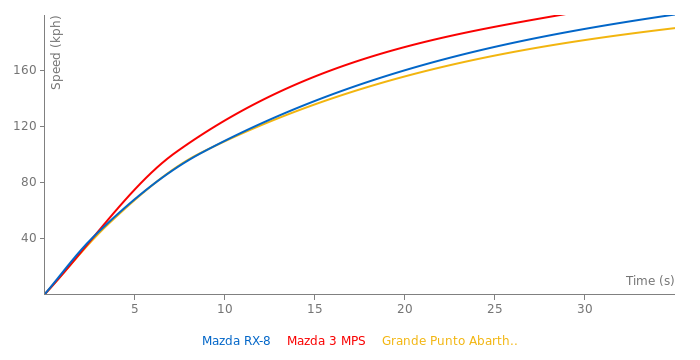 Of course there are examples of aftermarketed cars making nearly 900HP, so the potential IS there. A great concept but flawed in execution. What make this car \"slow\" I think is its weight, which failed to meet the expectation of a sports car with such a light and compact engine. If it had at least 100kg less weight I\'m sure it will be remembered fondly as one of the greats not only one of the quirkiest. my stock 1.8t GTI is faster than these even with shoddy tires on. but a 5 sp cobalt non turbo will beat both of us. for shame. 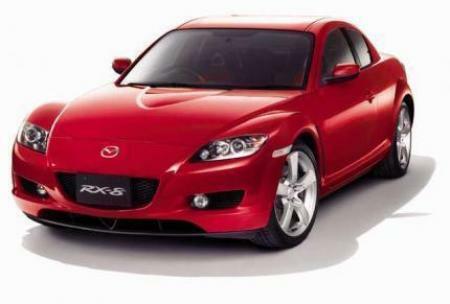 the other thing to consider is that an RX8 has four doors which can make it more attractive than many coupes that have similar performance and cost more. as funny as Civic´s are faster around Tsukuba than many sportcars.. I think its quite funny that a Fiesta St is faster than the RX8 around Anglesey. Not Quite that Yo, but heres one that puts those Numbers to Shame, Tested by Amurican Mag Road&Track. I wonder why is the 0-169km/h time is not under 17 seconds for a car as light as golf gti and with a power of 230hp?? There is no way this car is faster than a S2000, big typo error!!! Am on my 2nd RX8 now (have a PZ), absolutely love em! So much car for not a lot of money. Why did you delete the Ebisu laptime??? Terry in your RX8 you are THE horndog supreme. My man bags wobble in anticipation of your thrust. Terry, do you use Zymol?? Seriously though. When i polish it. WOW....It goes hard! And when i drive the car it is also quite fast. My RX-8 does 0-60 in 2.95 seconds. It is boosted with man fat.